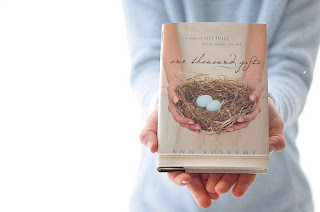 Right now I'm reading a book I'm loving called One Thousand Gifts by Ann Voskamp. It was recommended by my friend Pastor Tara Sloan. Anything Tara tells me to read, I read. Her recommendations are always right on target. This book is a very different kind of book from my usual -- Voskamp has an unmistakable writing style that is truly remarkable. 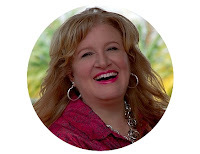 You can read her blog to get a little taste of it. I've always been a huge fan of gratefulness...especially when I came back from Africa and never more than now. Ann made her list of 1,000 gifts in her life and it was truly transforming. I did something similar years ago when I started my "Things I love" journal. You can read about it here and here where I wrote about it in the past and listed many of the things I'm grateful for. It's the best gift of my life that all three of my children serve the Lord wholeheartedly. My almost 25 year marriage is an amazing gift. I've been gifted with more genuine friends than anyone really deserves. I am gifted with the two most amazing dogs in the world. I'm a bulldog Mom!!! I have a home that is a shelter for me, not just physically but emotionallly and spiritually. Thank you dear Jesus, for your blessings on me!!! We're stirrin' up deep, deep wells! Why would I take a break from breathing? I'm a year older! What have I learned?